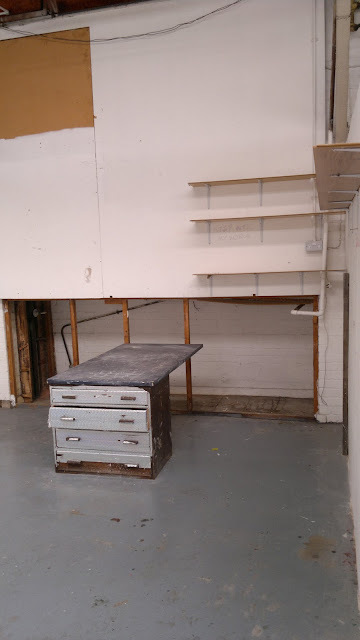 I've graduated, taken down the degree show, and moved all my stuff out of the RCA. It's been a really good couple of years. And now i'm starting something new! I'm taking part in a residency with an artists group called Loopart13, in Deptford (Southeast London). There's 11 of us, mostly sculptors, with a space to work in and a show at the end. This is going to be 'my' space to work in for the next 3 months. So much space! But before i get working i'm off to Sweden for a week to run around in the forest. Thank you for my 'little man' who arrived safely this week. Enjoy your new space and your residency and Sweden. We'll all miss you next year but hope to see you again soon.